We hope all our US readers had a fabulous Memorial Day weekend! We are so thankful to all the men and women who have given their lives so that we can enjoy freedom and liberty in this great country. Next up is Father's Day here, another way to celebrate wonderful men in our lives, so here are a few great deals from our favorite affiliates that you won't want to miss! Remember the awesome sale on Mother's Day cards we offered you from Tiny Prints last month? Until June 6, they're also offering free $.99 Father's Day cards! Don't forget your dad--spend a whopping buck and send him a sweet, funny, or personalized photo card. He'll love it. Just use code GC99. Oh, and if you sign up for a Tiny Prints membership (which gets you great discounts up to 50% on cards year round), you'll get three free cards. Cool. Looking for a great Father's Day gift? One of our favorite shops, Flirty Aprons, has awesome men's aprons on sale for dad. They're classic grilling aprons with funny sentiments like "Grill Sergeant," "Caution: Extremely Hot," and "My Grill Is Hotter Than Yours." And for all the Ute fans out there, how about, "I Like Cougars. . .Medium Rare." Ha! Or like the one below: "I Turn Grills On." Fun gifts for dads with a sense of humor! And if you're getting married this summer and just want to give dad the gift of saving money on your wedding, check out Wedding Paper Divas for 10% off any order of $75 or more. They have absolutely gorgeous invitations--so many to choose from it's almost overwhelming. 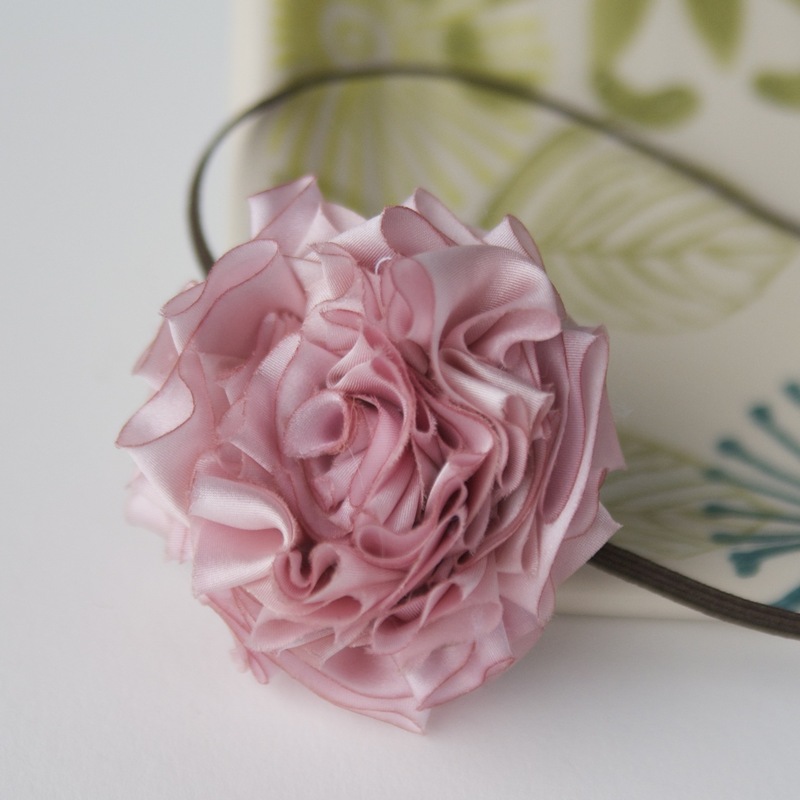 You can also save 20% by bundling all your wedding paper items. Happy Father's Day, Dad! "Mario and Luigi looks so fun!" Congrats! I have passed your email address on to the sponsor, so she should be contacting you. Enjoy your hot lunch date! When I got my Woman's Day magazine and saw this recipe, I was pumped. I love anything having to do with buffalo chicken. It's a simple recipe and you can make the chicken ahead of time or buy a rotisserie chicken to save time. It's a great grab 'n go lunch. Enjoy! 1. Fill a medium saucepan halfway with water; bring to a boil and add 1 tsp salt. Add the chicken, reduce heat and gently simmer until cooked through, 10 to 12 minutes. Transfer to a plate and, when cool enough to handle, shred into pieces. 2. Meanwhile, in a medium bowl, whisk together the yogurt, vinegar, and ¼ tsp each salt and pepper. Add the celery and scallions and toss to coat; fold in the blue cheese. 3. In a second bowl, whisk together the ketchup and wing sauce. Add the shredded chicken and toss to coat. 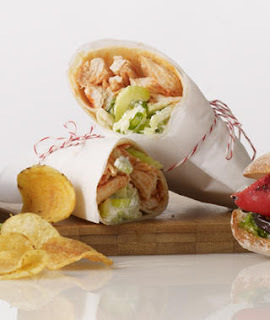 Wrap up the chicken and celery salad in the tortillas. Dads are so hard to craft for! But I'm thinking most dads could use a ball point pen from time to time, so here's a simple father's day gift your kids can make for dad this year. I originally made these with our church youth group, and my kids also handed out a few of these for Teacher Appreciation week. They make a great inexpensive gift, and the kids had a blast making them. Here's the how-to. . .
*Ball point pens - must be the type you can remove the ball point/ink from. Also, try not to get the type with the soft grip like I accidentally did. They work, but there's less room for the clay. I had a piece of white cotton that I'd accidentally spilled some hot pink powdered clothing dye on. Not enough to ruin it, but enough to make it's use very limited. Then I noticed that the hot pink heat transfer material I got from Silhouette was the exact same color. Problem solved. I've been wanting to use this shape/border on something for a while, so I decided to make a little girls' sun dress and use this shape as a border along the bottom. To save heat transfer material, I duplicated my border and cut both pieces along side each other. Next I weeded, or removed the unwanted pieces, from my plastic sheet with a sharp tool. Then I cut them apart. For the dress, I measured my toddler model for the length, width, armholes, and neck I'd need. Then I doubled and folded my fabric in half and cut a simple dress shape out of it, which gave me two identical pieces. For the back piece, I cut a slit in the middle of the neck about 4 inches long. Before I sewed the dress together, I laid my heat transfer pattern on the front of one piece. The nice thing about it is that it is sticky, so it stays in place. I laid the second piece on top of the first and matched up the second piece of the pattern so they'd match when I sew the side seams.This was easy because I could see the first shape through the light-colored fabric. Then I ironed it on each piece the same way I applied the heat transfer material to my t-shirts the other day. I finished my dress by finishing the arm and neck hole and slit seams, then sewed the pieces right-sides together. I did a wide hem along the bottom and voila, sweet sun dress in less than an hour! Ooh, wouldn't this shape be cute on a pillow? Or burp cloths? Hmm, I might have to put one more project together before tomorrow when the Silhouette heat transfer material sale ends! If you love this shape, get the Silhouette heat transfer material bundle, which includes the most amazing digital cutting machine and three rolls of heat transfer material for $219 ($125 savings!). Or if you have a Silhouette, all their heat transfer material is 25% off through May 25, 2011. Just use code LITTLEBIRDIE. "At Hot Lunch we've revolutionized dating as you know it. With our exlusive selection of themed date boxes, we've given you everything you need for a ridiculously fun time! When else have you and your date worn moustaches while making your own pizza pies, watched cartoons in your pajamas, or gone to a drive-in movie in your own garage? Our trend-savvy designers have found the hottest products and tastiest treats out there so you can be sure your date will be a huge hit!" "At Hot Lunch we believe dating should be fun and easy! That's why we've created themed date boxes packed with all the ideas, activities, and accoutrements necessary for a ridiculously fun time!" 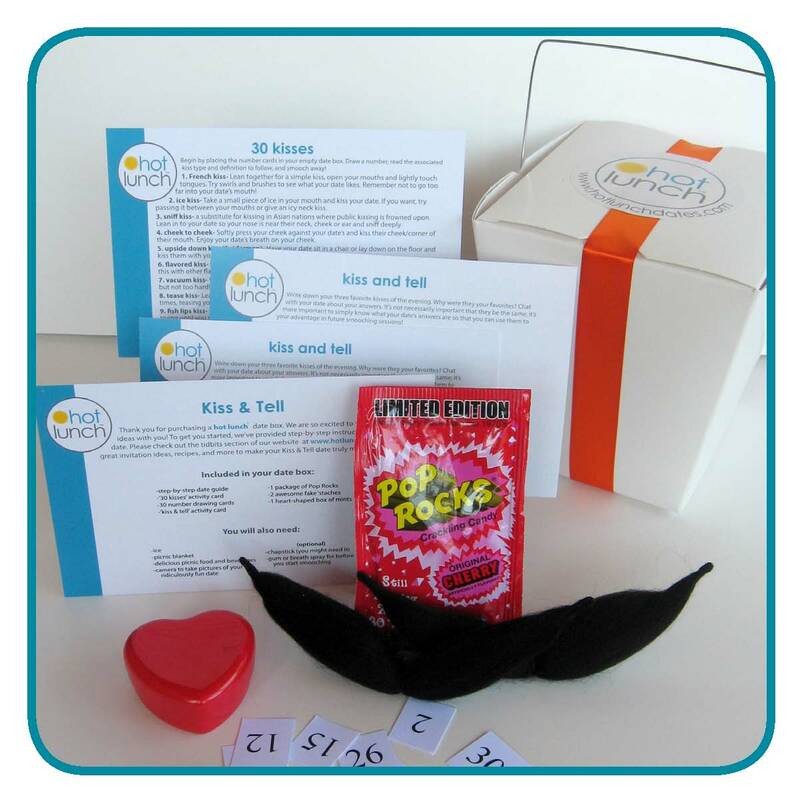 Today one lucky reader has the chance to win a 30 Kisses Date box!! All you have to do to enter is visit Hot Lunch Dates and find your favorite date box. Then come back and leave us a comment saying what it is. 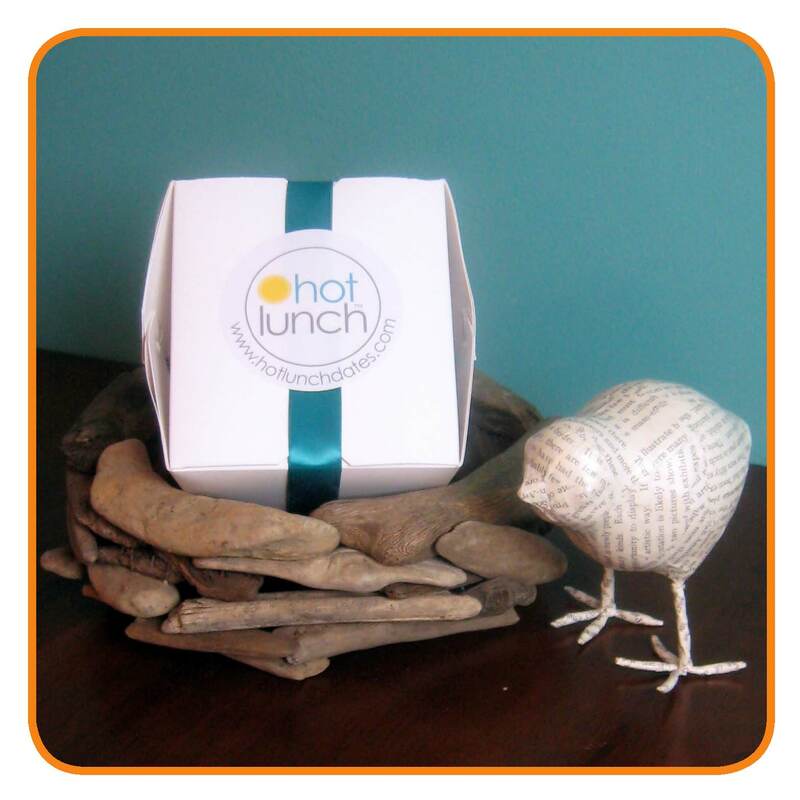 For an extra entry you can like Hot Lunch on Facebook. Good Luck! This giveaway will end Friday, May 27th at 11:59 pm PT. Today brings another tutorial from my dear friend, Andrea. These brownie pops are super adorable. We all fell in love with cake pops quite a while back, but I love all the variations you can make. I love brownies just as much as I love cake, and sometimes it's so fun to eat it in little bite size morsels. And besides being fun, let's just face it, it helps me keep some portion control. They are extremely easy to do. You can either make some thick brownies and cut them with a cookie cutter and dip in chocolate or use this cute Wilton pan to make this cute shape.If you want to expend more effort you can also roll your brownies into actual balls and cover them completely in chocolate. You can find this pan at Michaels and with the 40% off coupon it wasn't bad at all. I can't remember exactly how much because it was a long time ago that I bought it, but probably around 8 dollars or something like that. Make sure you grease your pan well. Mine stuck a bit so they weren't perfect, but you get the idea. Melt your chocolate. I had some Wilton brand orange chocolate. When you use Wilton you need to add some shortening to it to thin it out and make it work for dipping. Dip the stick in chocolate and insert it in the brownie. Let it sit for a couple minutes for the chocolate to set up (you can put it in the fridge or freezer to speed up the process) and then dip your brownie pop in the chocolate. My boys love sanding sugar or any sprinkles so I added some orange sanding sugar. I told you there were more heat transfer material projects coming! I pulled out the heat transfer material that Silhouette sent me and the kids went nuts. They're always asking me to cut shapes for them, and the thought of putting whatever they wanted on a t-shirt was like ice cream for dinner. They could hardly stand it. My oldest has been wanting a University of Utah t-shirt for some time, but I am kind of a cheapskate and team shirts are so expensive! But with Silhouette's heat transfer material and the Allstar font (get it free here or here), you can make school shirts for any team for just a few bucks! I used the white flocked heat transfer material and cut out a large "U" for the front and "Go Utes!" for the back. Here's the quick and dirty how to for Silhouette's heat transfer material. 1. Create your wording in the Silhouette Studio software. BE SURE TO FLIP HORIZONTALLY SO THE WORDS ARE BACKWARD! Select the appropriate heat transfer medium from the cut menu and cut your letters out of the heat transfer material with the shiny side down. 2. Use a sharp object (I used my Making Memories paper piercer) to remove the parts of the transfer material that you don't want to transfer (like the center of letters). 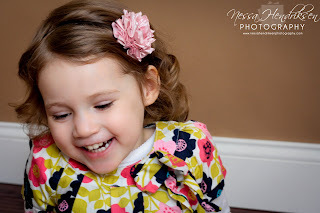 Thank you Old Navy for sponsoring my post today about baby and toddler styles. Old Navy is giving you 30% off everything in their baby and toddler summer collection, plus get an additional 15% off in-store. As many of you know, I have three little boys. I love to dress them in stylish clothing. 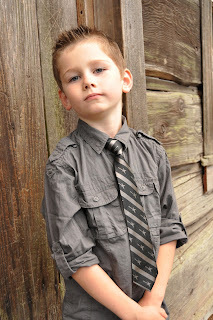 I know a lot of people say it's hard to find stylish clothing for boys, but I have so much fun dressing them! I love making them look like little men...or rock stars. Sometimes baby or toddler clothing can be hard to find at a good price. I want them to look adorable, but I don't want to spend a lot when they will grow out of it quickly or wear holes in the knees in what seems like a matter of minutes! It is great for me having three boys because I know I will be able to pass some items down to the younger ones. I have found that I can find some really great clearance items toward the end of season to stock up on. Old Navy and Target are two of my favorite places to shop. They always have really great clearance. What I will usually do is hit the clearance section when the season is ending and buy clothing that I know will be the size of my sons the next year. This has worked really well for me. I have been able to find items as low as $1 (a few times I snagged some 25 cent items!) and they are stylish, trendy clothes! I have rarely have to pay full price for clothing. I have also been able to use great coupons (Old Navy always has some) and stack it with sale or clearance prices for some great deals. Another thing I like to do is keep play clothing and nice clothing separate. This way I can buy clearance t-shirts and shorts that they can run around in and not worry about ruining. Then I can keep some other clothes as school or church clothes a bit nicer so they last longer. This stretches out my spending. So what about you? What are your strategies for buying baby or toddler clothing on a budget? I would love to hear them! Last week was a little crazy as I was busy making t-shirts for 38 girls and leaders in our church youth group. Whew! We decided to put on our own 5K race to teach the girls about setting a goal and following through with it. 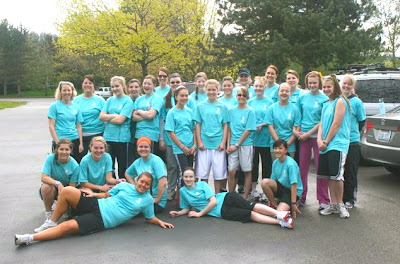 We learned about running and stretching, we trained together on Saturdays, and set our own personal goals for the race. It was an amazing experience! Luckily, I had my Silhouette on hand so the t-shirt experience was pretty amazing as well! Aren't they a cute bunch? We chose the theme "I can go the distance" and a silhouette of one of our temples to symbolize not only our goals for the 5K, but our goals in life. I used the CK Racer font and I found the temple in the Silhouette store. I deleted all the details on the shape (windows, doors, etc.) so it would be quick and easy to cut. I cut the image out of the smooth heat transfer material in white and ironed them on the back of the shirts (I had some help with that part--thanks, Lisa!). I think they turned out super cute! I did a smaller version for the front of the shirt. After my kids saw me using the heat transfer material, they wanted their own t-shirts, so I let them each pick their designs and we went to town! The nice thing is how quickly these come together. A t-shirt is a 10 to 15-minute project, easy. Stay tuned for more heat transfer material ideas this week as we celebrate Silhouette's heat transfer sale! Right now Silhouette is offering the Silhouette machine with a three rolls of heat transfer material for only $219. That's $125 savings. And if you already own a Silhouette, all heat transfer material is 25% off through May 25th, 2011. Use code LITTLEBIRDIE to get the deals. Yippee! Today is my (Jessica's) birthday! That means I am in the mood for some treats. 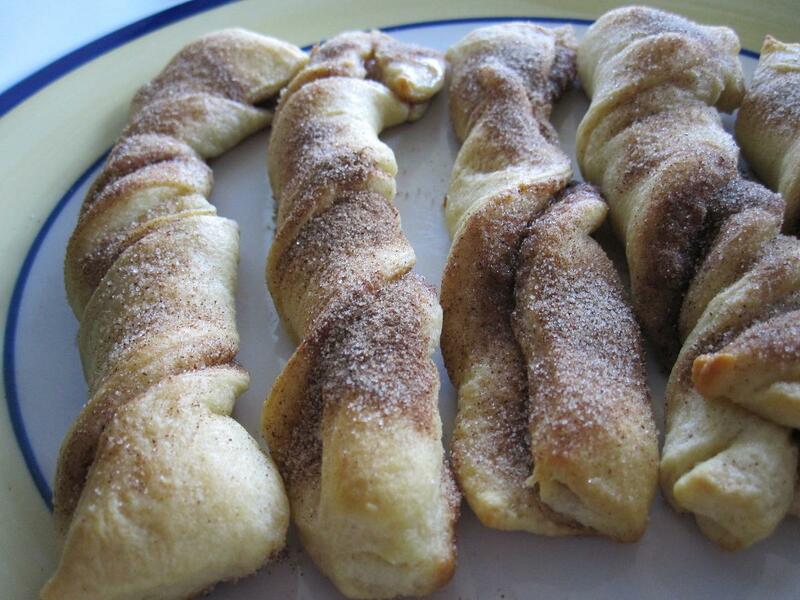 These cinnamon twists are super easy and tasty. Any recipe that only takes 4 ingredients is an automatic winner in my book! My boys love to help me make them, which makes for a fun activity as well. Heat oven to 375 degrees. In a small bowl mix together the sugar and cinnamon and set aside. 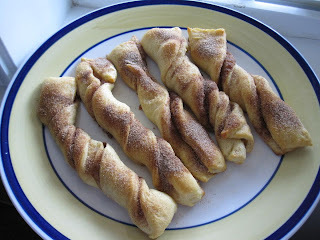 Unroll the crescent dough and separate it into 4 rectangles. Press each into a 6x4 inch rectangle. (press perforations together to seal). Brush the tops of 2 rectangles with melted butter and sprinkle with about half of the sugar mixture. Top each with remaining rectangle; press edges lightly. Brush tops with melted butter. With a sharp knife or pizza cutter, cut each rectangle stack lengthwise into 6 strips. Twist each strip 3 times and place on an ungreased cookie sheet. Bake 9-11 minutes or until golden brown. Brush tops with any remaining butter and sprinkle with remaining sugar mixture! Enjoy! "The small posh posies and the polka dot butterfly bows are both very cute! Thanks!" Congrats! I have passed your email onto the sponsor. Enjoy! Look at this super easy bow made of scrap paper and ribbon that I'm writing about over at Make and Takes today! These are perfect for all the gifts that are coming up with weddings, babies, graduations, and more. And they use up those scraps that you can't quite bear to throw away! Check out the full story at Make and Takes. . .
Congrats! Please email us with your mailing address, so we can have the publisher send you a copy of the book. As always, we appreciate our sponsors for all the support they provide to this blog. We can only do what we do because of them! meaningful for children to fulfill them. prosperity including saving, sharing and spending. of a strong work ethic and financial responsibility. -My Job Chart takes the struggle out of instilling a strong work ethic in kids. How MyJobChart.com Works! from Gregg Murset on Vimeo. Today we have a great giveaway coming your way. We are excited to introduce you to My Little Pixies. Here is a little bit about the shop from the designer herself: "Welcome to your place to find and design hair accessories for the little pixies in your life- by a mom with two of her own! 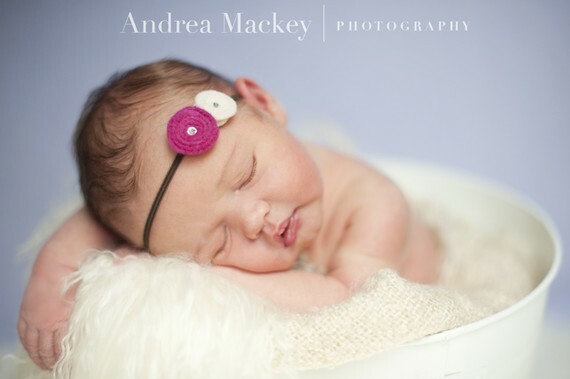 I specialize in creating unique and custom hair accessories for girls of all ages! I make bows, ribbon sculptures, hand-crocheted flowers, hand-singed organza blossoms, and anything else that strikes my fancy- or yours! I gladly accept custom orders!" 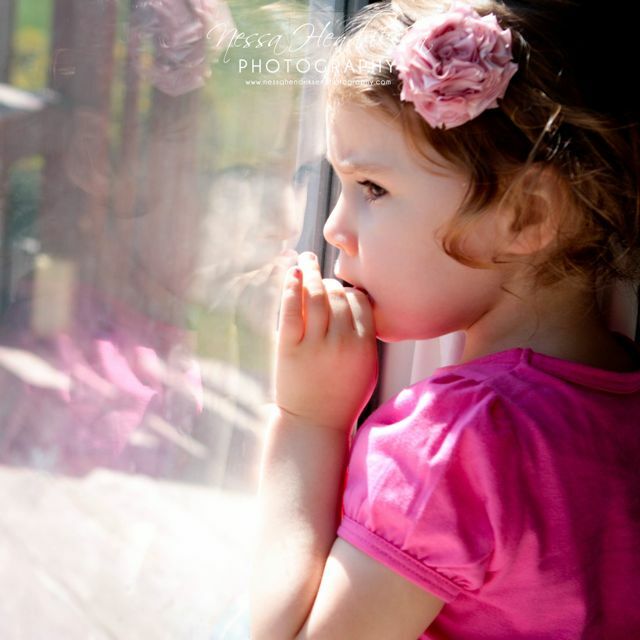 Today, My Little Pixies wants to give one of our readers a "Hailey" headband! Isn't it just adorable? This would be sweet on any little girl as well as an adult! All you have to do to enter is visit My Little Pixies and find your favorite item (besides the Hailey headband) and then come back and tell us what it is! And if you want to score a special deal, enter the code "littlebirdiesfree" to receive free shipping on any order over $15! This code can be used at either the etsy shop or website. Good luck, this giveaway will end Thursday, May 12th at 11:59pm PT. Today we are thrilled be to participating in a virtual book tour featuring the book Puppet Play by Diana Schoenbrun. Puppet Play is a family craft book featuring puppet projects made with recycled materials easily found around the house. 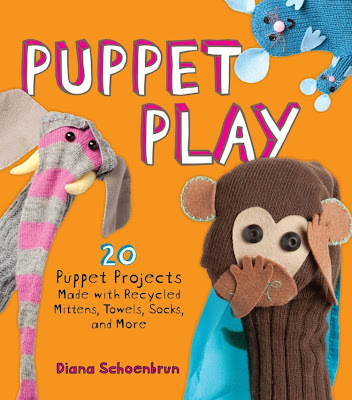 In Puppet Play, puppet builder, illustrator, and author Diana Schoenbrun demonstrates how recycled materials and everyday household items can be transformed into adorable, one-of-a-kind puppets for hours of crafting fun and family play. Puppet Play can also provide an opportunity to introduce the importance of the green movement to little ones in a creative, engaging way. Isn't that wonderful? I am constantly trying to teach my boys not to be wasteful as well as frugal and I love the idea of making things from what we already have. I love that time can be spent together doing a fun craft, all while instilling important lessons within them. Plus, what kid (or adult for that matter) doesn't love to play with a puppet? One lucky reader has a chance to win a copy of Puppet Play! All you have to do is leave a comment telling us why you want a copy of this book! Simple as that. The giveaway will close on May 9th at 11:59pm PT. I wanted to post this before Mother's Day because it would make a great gift for mom, but it's a great thing to make for yourself if you love to make cards. I love sitting down and making a bunch of cards at once to have on hand, and this is the perfect way to store them. Then the next time I am in a card making mood, I can see what occasions I'm getting low on. Some friends and I had a girls' night and made these together--it was super fun. Next get together we'll have to make some cards to put in them! Oh how I am going to miss you girls!